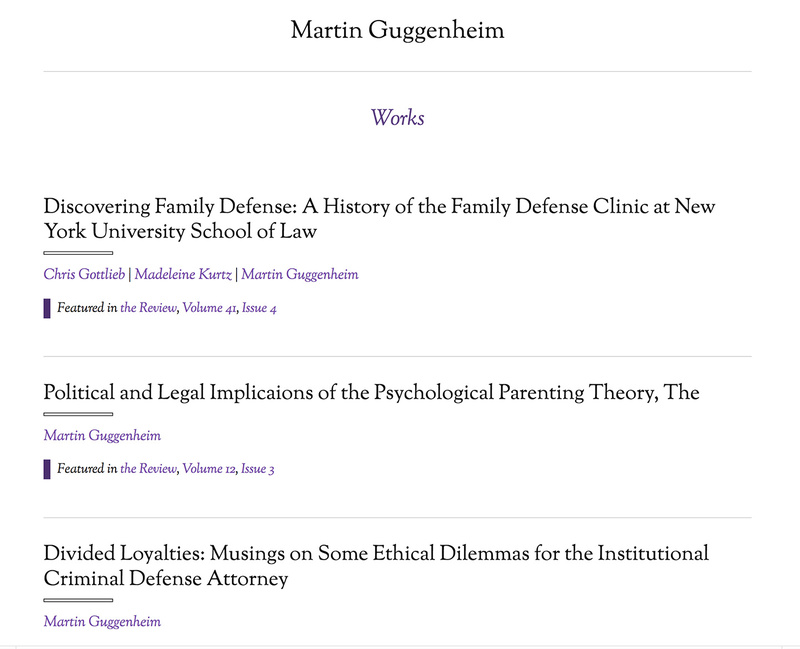 A seamless online archive for ongoing activist scholarly law research and deep archives of legal viewpoints and journal publications. 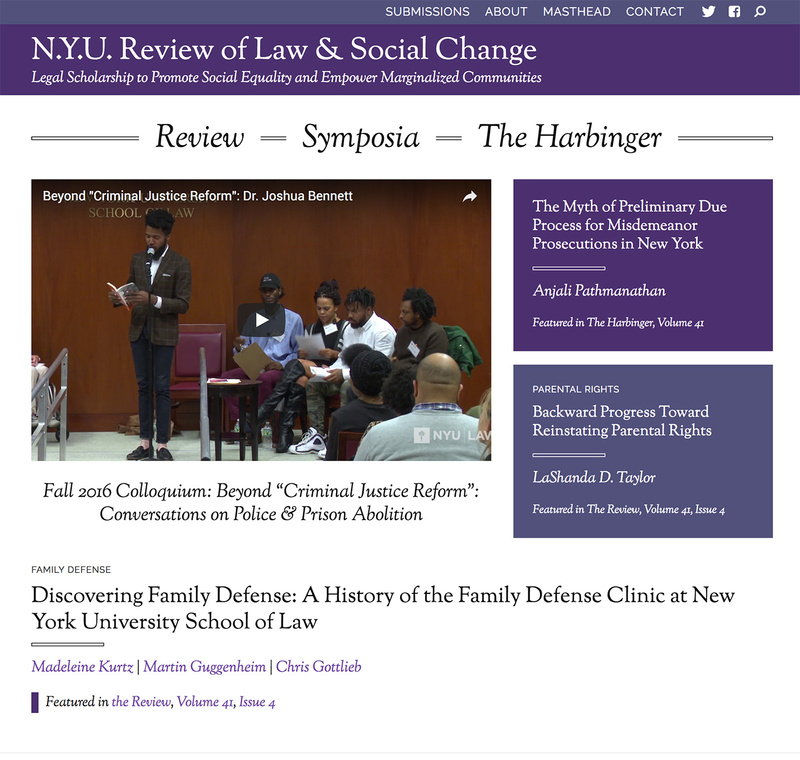 The New York University Review of Law and Social Change was established by radical students and professors in the 1960s to use legal scholarship to address the injustices of the time. 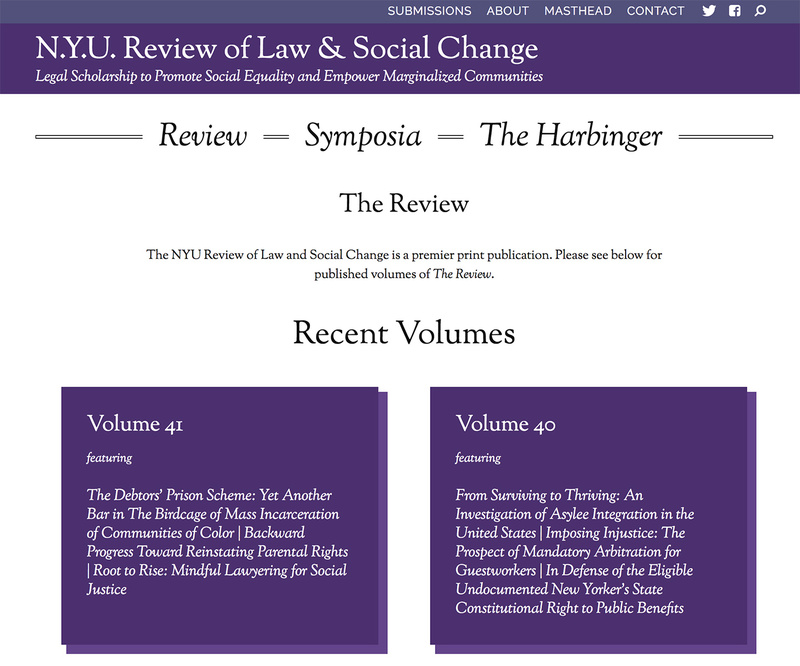 Social Change continues that mission today, through the publication of its journal and The Harbinger, its online-only publication. RLSC reached out to Social Ink to provide better indexing, access, and scholarly reading experience for their journals and individual articles. 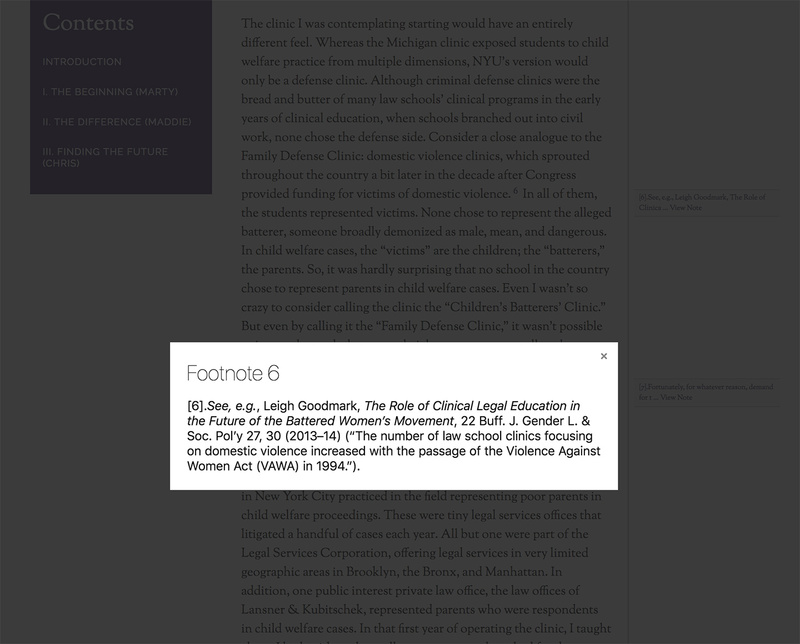 To accommodate the academic nature of these legal pieces, we created a custom layer in our WordPress CMS integration that features dynamic footnotes and publishing workflow. 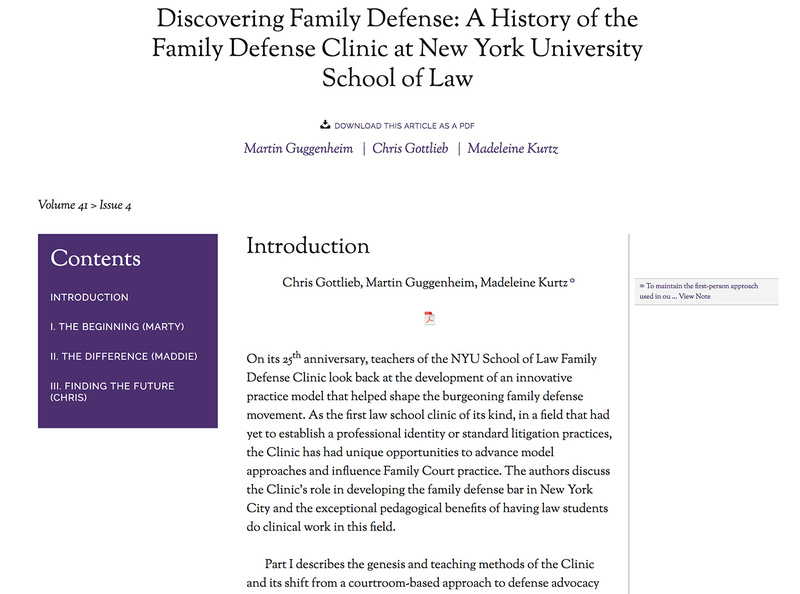 Other helpful features include in-page menus for long-form articles, PDF downloads of each published article, and a related content chooser for site administrators to manually curate. Like all our sites, the website is mobile responsive across screens and devices. 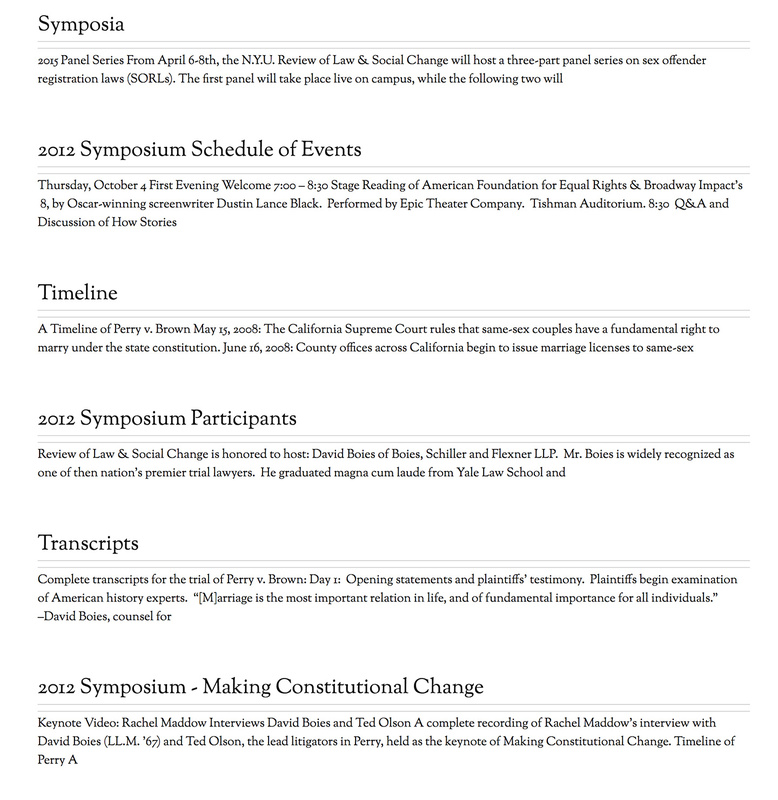 We’re happy to have partnered with RLSC and continue our work on websites for academic institutions and scholarly publications!